Thank you to Springhill Farm for letting me sample their new Real Bread Mix varieties. I have been a huge fan of the original Real Bread Mix mainly to make excellent homemade gluten free pizza bases that all the family love not just me as the gluten free one! I decided as it has been very wintery to bake the Fruit Real Bread Mix and use it to make a Bread and Butter pudding for dessert on the weekend. 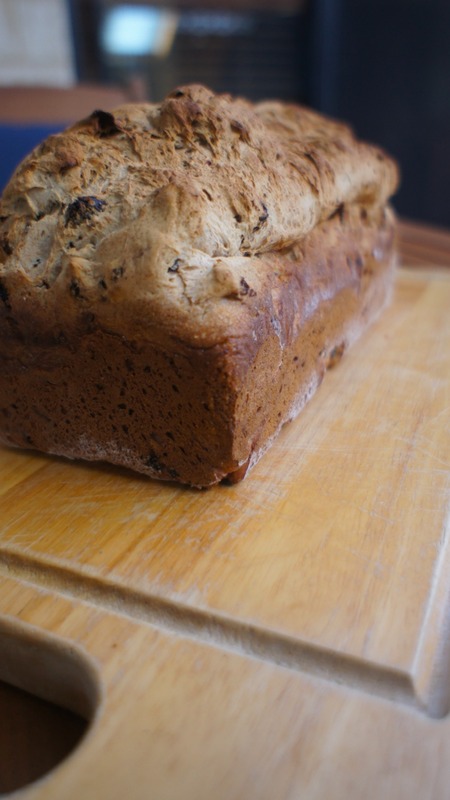 I used my dough setting on the Thermomix to make the dough as per the instructions on the packet and baked it in a high sided loaf tin that actually bought via Springhill Farm stand at the Gluten Free Expo on year. As you can see from the photo it makes a lovely loaf of bread and I could not resist when it cooled trying a slice with some apricot jam before I made the rest of the loaf into the pudding. It tasted delicious and had great texture as fresh bread but would be nice toasted later on as well. 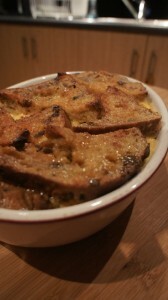 You can find the recipe for the Wintery Gluten Free Bread and Butter pudding here at the Springhill Farm website. I used a gluten free apricot jam and vanilla bean paste instead of a vanilla bean pod. I was also short on eggs so only used the 4 eggs and not the extra 4 egg yolks, it still turned out OK but the egg mixture did not set and was a bit runny still after baking. It still tasted delicious served with some Weiss Vanilla Bean ice cream. I think it would have tasted nice with a splash of Cointreau liqueur added.